Kate is going to be making most of it…it’s so simple! 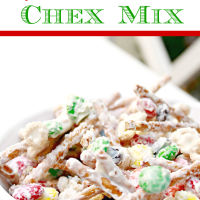 Start by melting the white chocolate chips in a double boiler or candy melting pot. 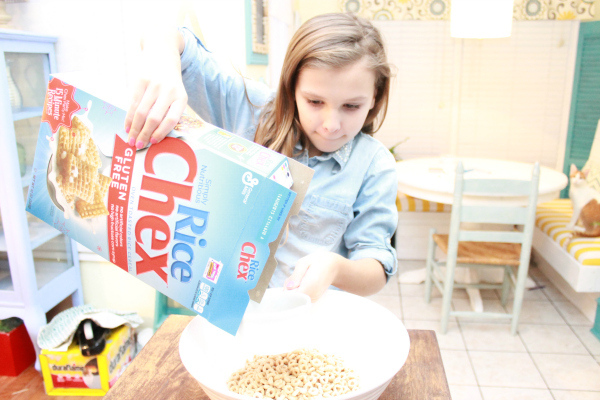 In a large bowl, add all of the dry ingredients, including the M-n-M’s and mix them together. Once the chocolate is melted, fold into the dry ingredients, making sure to lightly coat all of it. Pour the mixture onto a large piece of wax paper and smooth out into a thin layer. Once the chocolate has hardened, break into pieces and serve or store! Pour onto wax paper and let the white chocolate totally harden. This stuff is so hard to stop eating! 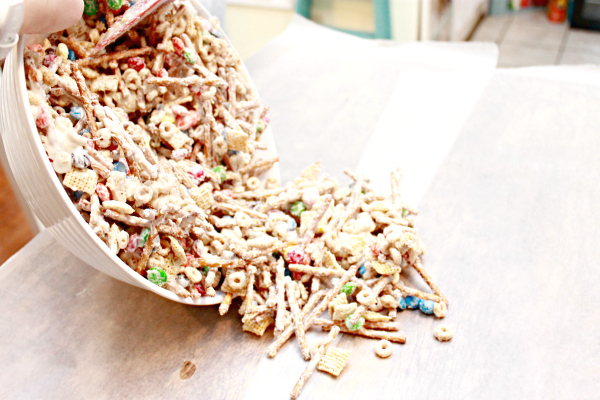 We make a couple different batches…some for ourselves and some to share with teachers, friends and family! 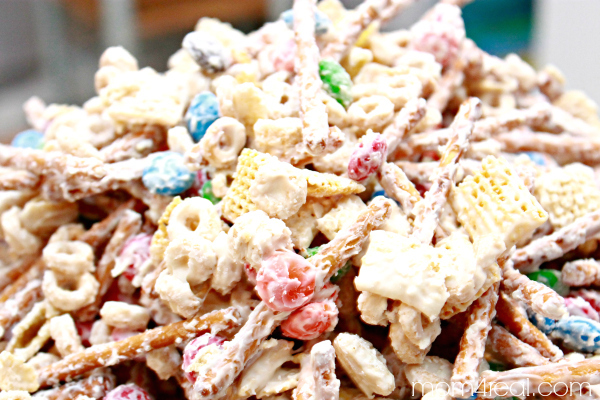 Believe me, anyone who receives some of this awesome mix will be more than happy with it as a gift…it is that good! 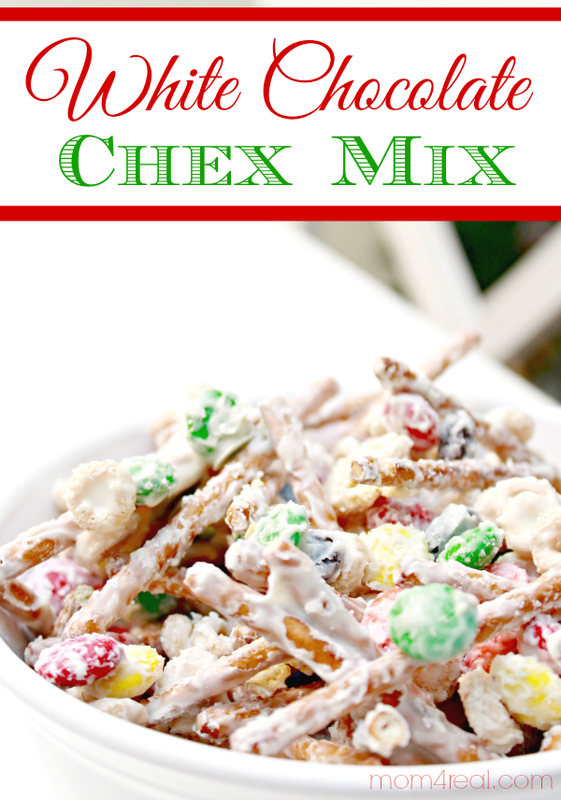 Looking for another delicious treat to make and give this holiday season? 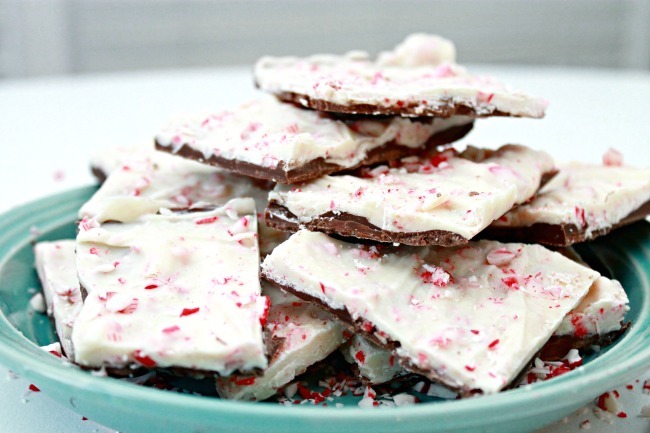 Try this White Chocolate Peppermint Bark…it’s super simple to make and is so yummy! OMG! This looks so cute! 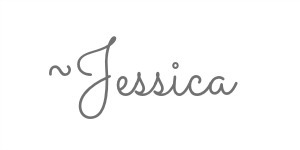 And it is perfect for family fun, or also to give to friends and family as gifts! Too cute! Thanks for sharing! 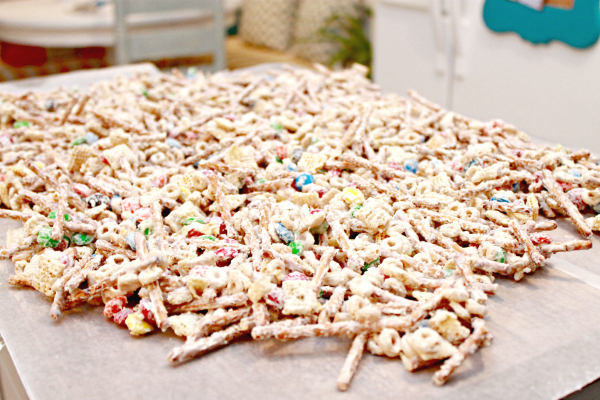 Getting ready to make this but need the ounces on the chips as well as amount of pretzels. Thanks! !